The 1960s brought a wave of African-American students to predominantly white universities across the country, sparking hope for more diverse campuses while drawing attention to racism and exclusionary practices. 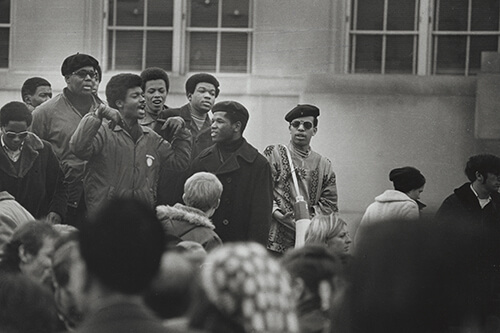 At the University of Wisconsin–Madison, years of meetings between black students and the administration broke down in February of 1969, leading to the Black Student Strike. Fifty years later, the strike will animate many of the events during Black History Month, allowing the campus to reflect more deeply on both the achievements of the past and the work that remains to be done. Panel discussion featuring several participants from this story. Monday, Feb. 11, from 5 to 7 p.m. at the Play Circle in Memorial Union; reception to follow from 7 to 8:30 p.m. at the Black Cultural Center.